What happened after Teardrop Travels? From January 2016 to January 2017 we had lived in primitive areas whenever possible and worked on a few farms too, all across the country. 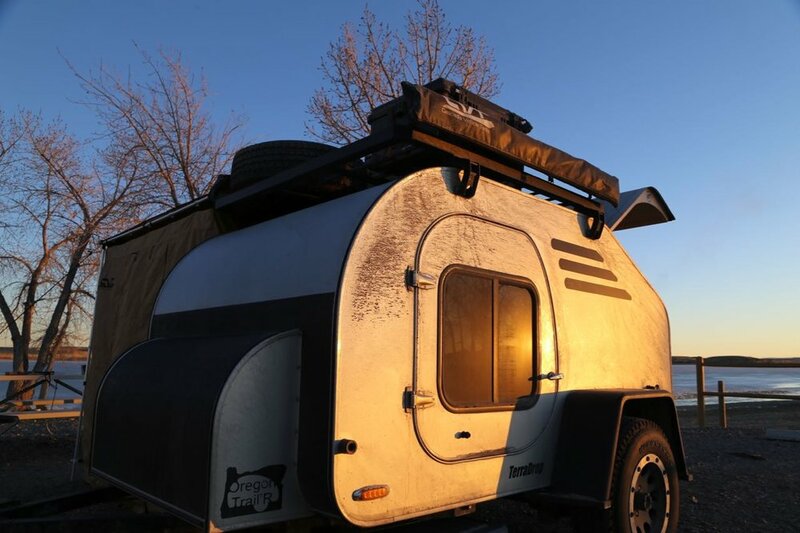 We traveled with our teardrop trailer over 36,000 miles, visited 2 countries and 44 states in America. Our only regret is we didn't start sooner. But, it was time to figure out where we wanted to settle down. As it turns out, our shortlist of where we would consider moving to was really short. There was Colorado and the southwestern corner of Montana. And there was West Virginia, a surprisingly charming place. How we arrived at West Virginia is that we were volunteering on a certified naturally grown farm in the northern part of the state and we saw a bear run across the road. Not only had we come across Americans with grit and heart, but we realized we had found the perfect combination of raw, unfinished, wild and beautiful. We were naive about the problematics of West Virginia, the history of natural resources extraction, the opioid crisis, the poverty. However, the fact that is a place in transition coupled with unmatched cultural heritage and outdoor appeal left us undeterred and cautiously optimistic. By March 2017, we moved all our stuff and ourselves to West Virginia and started a new chapter right in the heart of Appalachia. A few months after living in WV and looking at properties, we were introduced a former 40-acre homestead situated on the edge of the Monongahela National Forest. We now own that property and live here full time. Please follow our journey. We had originally estimated that we’d cover about 15,000-20,000 miles during the year. We ended up traveling more than 36,000 miles, and putting all those miles on our rig and on our selves. There are so many stories from that adventure, which don’t live on this website anymore. But for a teaser, what follows are the original parameters for the adventure and the customizations to the jeep and teardrop trailer. Let's be honest, North America covers a vast area. In fact Greenland to Latin America, Alaska to Puerto Rico are part of the amazing continent we call home. So to be realistic, we are focusing on greater Canada and United States including Alaska. That's not to say we won't go somewhere else, but this is our focus for the next 12+ months. For those familiar with the "overland" community, many choose far-away, romantic destinations requiring immense logistics, large cash hoards and/or dangerous locations due to unstable governments, tribes and the like. Not exactly our idea of adventure. Ours is based on the outdoors, seeing and experiencing the world as it was given to us. Providing shelter, food and basic needs we all have taken for granted, we set out to discover the back road, forgotten town and parts of this land few experience. Most important is to NOT get on the Interstate Highway System. As amazing as it is, this system allows the average person to bypass most of our great resources, it's people. 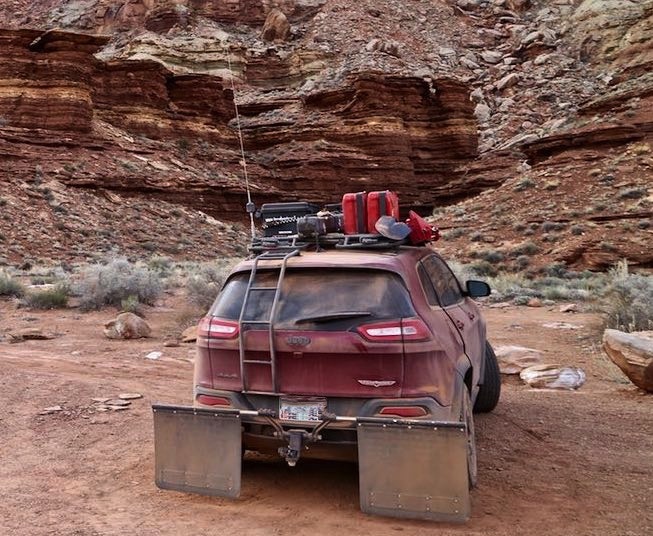 Our Home on Wheels (HoW), as off-road capable as it may be, is still designed for mostly paved road travel. And although we can't avoid "big" cities, our goal is to not visit cities with populations over 20,000 people. It should be easy, but also a bit challenging as we will need to find airports to travel back to our storage, work and families on occasion. 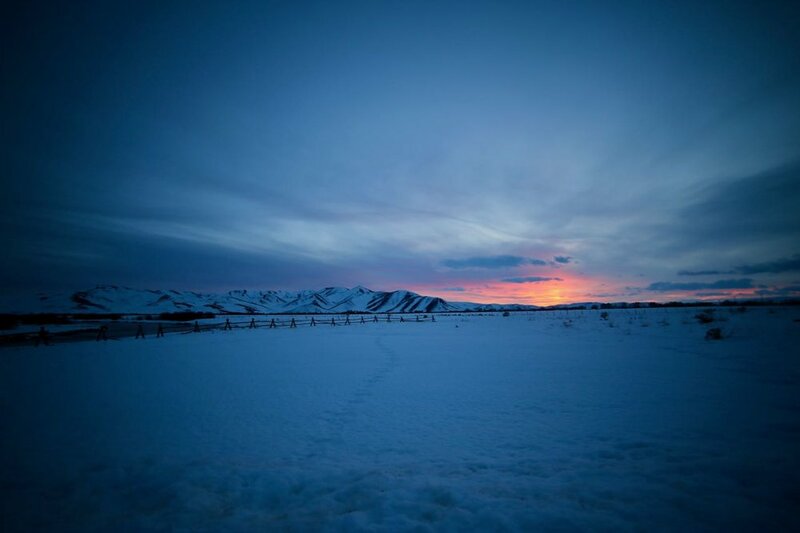 We also will be in the backcountry, driving to remote trailheads and backpacking into wilderness with limited access. Edit August 2016: We've stayed true to our promise, dirt roads are plenty and have spent the majority of our travels off the highway. We estimate <1,000 miles have been traveled on the interstate and about 30% of travel is on some byway/US highway system. These are often single lane rural roads bisecting the land and though very small communities with little more than a hundred residences. ...spent the majority of his working career as an IT manager, consultant and trainer. He founded v.2 Consulting, Inc way back in the beginning of 1999. In the time since, he has traveled to nearly every major city in the United States and been fortunate to provide his expertise in foreign countries such as Australia, China and Canada. Not only a technology nerd, he is a foodie, cocktail snob and a published author. David's background started as a professional cook/chef working in several top restaurants in Santa Barbara and San Francisco. He grew up on a walnut farm, drove a tractor and raised sheep. After moving back to Los Angeles, David felt a need to reduce and eliminate excess. Discovering tiny houses, a plan was devised to create tiny communities, like mini-RV parks for tiny house dwellers. He soon realized part of owning a tiny house was being able to move it to new and interesting places. The decision was easy... A teardrop was a way to have the best of it all. Small dwelling, the mighty outdoors, and freedom to move and explore. ...spent 20 years administering programs that encourage community building and art in public places. Together with the best teams, residents and artists, her work spanned creative placemaking, healthy community design, environmental initiatives, cultural destinations, and new landmarks. And now she has decided to continue those efforts from a new vantage point. The arts, nature, outdoors, family, spirituality and sports, have always been key to her life. Thanks to pioneer-minded parents, her youth was spent on a dairy goat farm on the north shore of Long Island and in rural dairy country in upstate New York. Life in a large Italian-American family also afforded her early exposure to the world-class museums and performing arts of New York City. She most recently lived in Los Angeles and enjoyed the best of its arts, culture, restaurant, fitness and outdoor activities. Margaret’s goal with Teardrop Travels is to be immersed in nature’s powerful and precious resources and to continue the creative legacy of her parents. Now on a year-long sabbatical, David & Margaret are on an adventure to discover North America's wildernesses and small towns through the windows of a Teardrop, backpacking and each other's vision. Teardrop is actually a Terradrop built by Oregon Trailr. David was fortunate enough to have found these passionate brothers who build custom trailers. Jon and Sawyer are not your run-of-the-mill wood/metal workers. They have been camping in teardrops since kids and their enthusiasm is evident in the style and quality of their craftsmanship. Update (12 Dec 2015): Terradrop has been delivered! We'll have more details as we organize and outfit our home on wheels. Update (24 Dec 2016) We've made it to Oregon, stopped at CVT to get a couple awnings installed. They work wonders in the Oregon climate! Considering all our requirements, lets apply some of them to say an Unimog... First off, an Unimog is exponentially more expensive with huge amounts of ability that honestly can't be fully utilized in a normal world of parking structures, old dirt roads and tree covered remote camping. And spending hundreds of thousands of dollars we wouldn't have any money left for the journey. Then there is Land Rover. Well any decent LR is going to cost considerably more, in the $80k-$100k range and I still don't have a place to sleep, nor rear or center lockers and the same ground clearance as the Trailhawk. Of course a Defender would be amazingly awesome, but I couldn't find a mechanic with all her teeth. Wrangler and Grand Cherokee: Although you get a lot in a GC it's about $10k more than a similarly optioned Cherokee Trailhawk. A Wrangler is about $5k more than a KL Trailhawk with practically no storage, ride comfort is terrible for long travel and there are really no creature comforts beyond a padded roll bar. 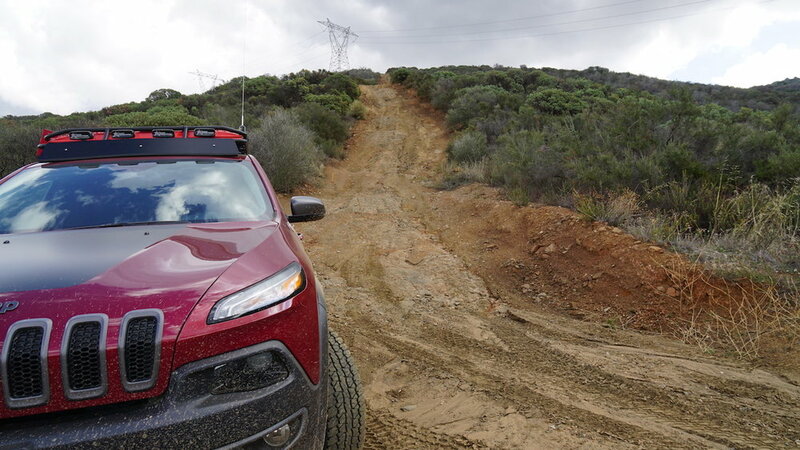 Sure there are endless overland/aftermarket options available, but this would end up costing thousands of dollars and I'd still not have the on-road feel a Cherokee provides. Toyota offerings in the Land Cruiser end up costing a lot of money without adding much in the way of Off-road ability. Tacoma and Tundras are actual trucks and drive like trucks. Again, great vehicles, but not-so-great MPG, lacking in creature comforts, dated looks and missing technology. So I settled on the new Cherokee, specifically the Trailhawk model. It has all the features, capabilities and comforts of each competitor, but at a more affordable price and with fewer compromises. Sure, there are a few bad points to the vehicle. One is the small(er) rear cargo area compared to a GC or LR4. It's ample for day-to-day, but after putting a 50l fridge/freezer, we've got about 20" x 28" of space left with the seats up. Second, and most prevalent at the time of build-out, is the lack of a serious after-market. Great companies like GOBI, Front Runner and Raingler have storage options to say the least. But there isn't a lift kit yet (I want 1" for taller tires), beefier suspension (for the added weight) or front/rear bumper replacements. I know they'll come, until then we'll have to wait. Finally is the range. The V6 is rated up to 25mpg and I've gotten over 30, but under tow we are averaging 18-ish. 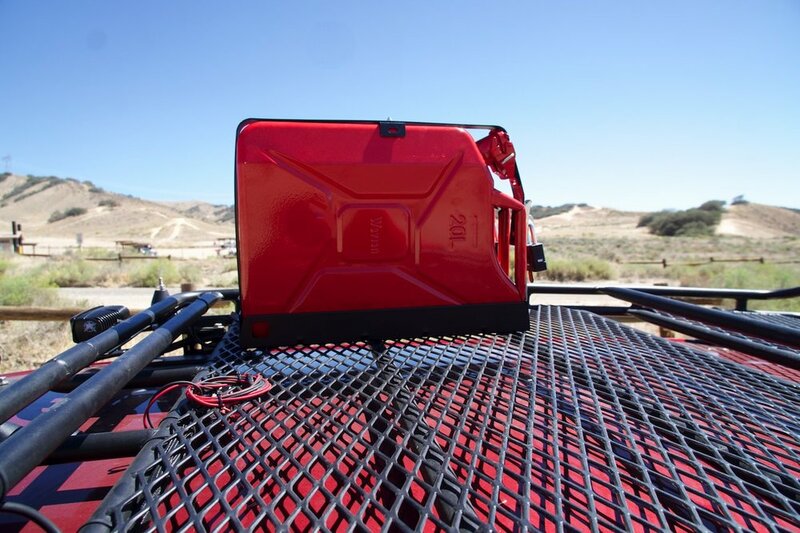 Coupled with a 15 gallon fuel tank, our range is limited to 250 miles. If I could only get my hands on a diesel Trailhawk they sell in EVERY OTHER COUNTRY I'd be set. 40-ish mpg and torque, torque, TORQUE. Roof Racks Without a doubt the GOBI Stealth Rack one of the most important tools on the Jeep. It holds wood, spare fuel, Pelican cases, MaxTrax and a great platform for taking pictures! You name it, it's been up here and we couldn't have managed our journey without it! Our rack on Teardrop was custom made for use by Oregon Trail'R and it too is an invaluable tool. NATO Style Jerry Cans Wavian are the best Jerry cans money can buy. Yes I love Rotopax, but we wanted at least 10g/40l of fuel as a backup (we've needed it a few times) and the two cans plus our great Front Runnermount is perfect for our needs. Water Storage Water storage is still not 100% sad to say. We ordered three of the new Water Pak online, but they sent us Aqua Pak which quite frankly aren't awesome. (FYI we did not order directly but from a retailer) The spout isn't always facing the correct way when tight and the air vent isn't a screw cap, but a plug that has, more than once, not been correctly seated causing water to leak. This may or may not be our fault (wink, wink) but I would like to see a better seal on these containers. For what it's worth, we use about 2 g/7.5l per day of clean potable water and we carry about 8-10g/30-38l when we dry camp 3-5 days. LED Lighting All our lighting was installed personally, good or bad. Rigid Industries, along with Baja Designs and a few others are the best in the industry. They cost more, because they put out more light AT DISTANCE. This is something some people can't seem to grasp. You can get cheap lights that have a ridiculously high lumen rating, but can't throw that light very far. So you get what you pay for and lighting isn't something I want to cheap-out on. sPOD There are hundreds of options when it comes to wiring up your "off-road" lights, but I wanted simple and clean. The sPOD is it, hands down. Recover Tracks There are a number of options out there, but we chose MAXTRAX because they just don't break. Yes, they cost more, but you'll probably never buy replacements either! Rock Guards/Mud Flaps So you want to tow something behind your vehicle and you don't want it to get destroyed with all the rocks and debris flying all over the place, right? So you get the one purpose build, trusted name.... Rock Tamer. Personally, they are ugly. And I can't say they keep the mud off Teardrop. But they do work and we have no visible damage to Teardrop after nearly 10,000 miles. Kitchen We outfitted the galley kitchen with normal kitchen things like cutlery, plates, cups, silverware, cloth napkins and paper towels etc. It’s not easy to drink out of metal cups in freezing cold weather, so do yourself a favor and bring a couple regular glasses. Suffice it to say, Lodge Skillet, Camp (Dutch) Oven and Combo Cooker are a staple in our galley kitchen. Outdoor Storage Everyone is different and there are some amazing hard cases out there, but Pelican has a great reputation. But best of all I got a great deal (free) on our two large cases and they are awesome. Personal Care Products To adapt to less than ideal bathing conditions, to be less dependent on buying products when needed, and to create less waste, Margaret came up with a new skin care regimine using mostly DIY products. If you’re bathing/washing in cold temps or rationing water, you need to dial in your products. Margaret uses two lightweight soaps she calls Magic Tonic and Magic Wash, made with with Dr. Bronners castille soap, lavender essential oil, rose water, witch hazel, and vegetable glycerin. The Tonic is so lightweight you don’t have to rinse it off. Because it has witch hazel and rose water in it, it’s a good toner. It’s also good for keeping fresh in the private parts and pits, for both men and women. It’s a good hydrating gentle wipe for your face. The Wash, is a little more soap, but it rinses off easily and is nontoxic. She uses little cloths, about 4x4” in size, absorbent and reusable, for wiping and washing. Rather than wiping with toilet paper, she uses the tiny wipe cloths with the Magic Tonic. It’s not disposible, but it is washable. She also made her own hand sanitizer, hand and body lotion as well as healing salve/lip balm (beeswax, comfrey infused olive oil, essential oil). Sometimes you just need the real deal though and we have some favorite stand by off the shelf products. More coming about those products here.